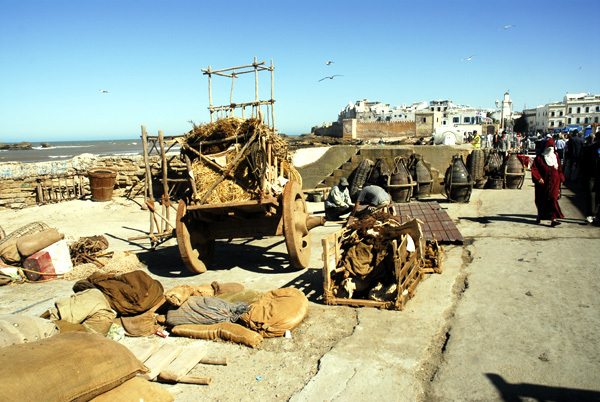 Many film directors, have discovered Essaouira's photogenic and atmospheric qualities. 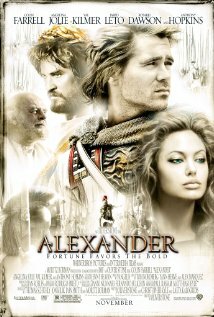 Oliver Stone’s Alexander is a historical drama starring Colin Farrell, Angelina Jolie, Anthony Hopkins, Jared Leto and Val Kilmer. Areas around Essaouira provided a picturesque backdrop for the Macedonian mountains, small basins, agricultural lands and rivers. The scene in the Macedonian horse market where young Alexander (Connor Paolo) surprises everyone by taming and subduing Bucephalus, was shot near Essaouira. The Kingdom of Heaven, directed by Ridley Scott. The Kasbah of Essaouira was transformed to Jerusalem. In 2012, the dutch film Land , about wind surf was shot in Moulay Bouzerktoun. Photo : Collection David Bouhadana. In 1952, the film Othello won the Palme d´Or at the Cannes Film Festival. 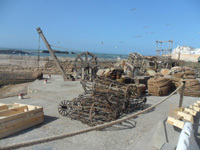 Filming Daenerys’ Season 3 storyline "Game of Thrones" in one of the cities of Slaver’s Bay. Astapor? Astapor, also known as the Red City, is the southernnmost of the three great city-states of Slaver's Bay and a noted stopping point for ships bound from Qarth to the Free Cities and Westeros. The film "Atlantic" by Dutch director Jan-Willem van Ewijk. 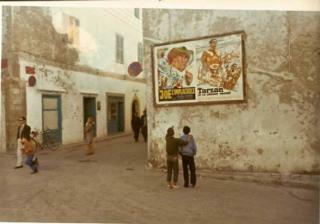 Filmed in Moulay Bouzerktoun. Whether or not you are a fan of HBO’s hit series Game of Thrones, anyone visiting Marrakesh simply must spend some time exploring the Phoenician settlement of Mogador at Essaouira. It’s just like stepping into an episode of Game of Thrones because the travels of the Mother of Dragons, Daenerys Targaryen, and all scenes of the city of Astapor were filmed there. 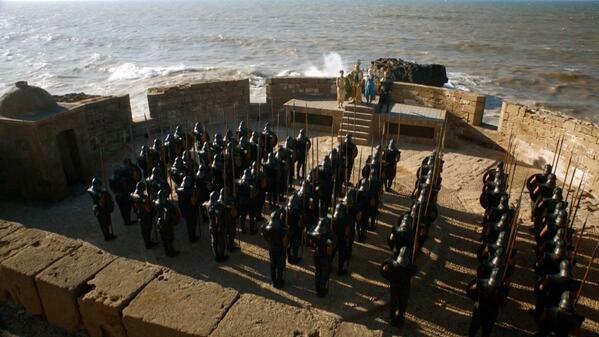 Some of the scenes set in King’s Landing, with imposing walls overlooking an ocean vista, were also filmed at Essaouira. Medina of Essaouira is a fortified seaport from the late 18th century and is listed as a UNESCO World Heritage site. Its picturesque little streets and alleys combine North African and European architectural styles giving it a unique character and atmosphere. It’s no surprise that the city was chosen as a shooting location for Game of Thrones. It feels like something from a fairy tale when you walk around the Medina. It has also featured in a number of blockbuster films including Ridley Scott’s Gladiator, Terry Gilliam’s cult classic Time Bandits and the epic Lawrence of Arabia. Close to Mogador, out in the desert, you can find more cinematic history. Atlas Studios is one of the largest film studios in the world and they now offer guided tours for film fanatics. Most of these tours are in French, so if your French is rusty then you need to either specify that you want an English language tour or try and find a French or Arabic guide.. French is spoken quite a lot in tourist areas, but Arabic and Berber are more common. English is rarer but hotels can usually point you toward English language history tours if you need them. 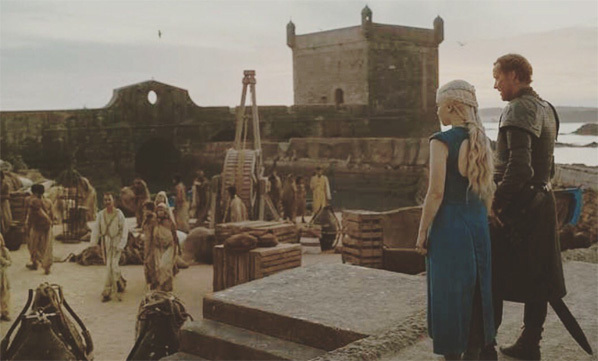 Essaouira provides the perfect backdrop for Daenerys’s journey through a sun bleached land with her young dragons. It is in the historic fortified sea port towns of this region that she attempts to amass an army and acquires the loyalty of a host of castrato soldiers called the Unsullied. You can follow in her footsteps and look out across the warm African Atlantic Ocean or explore the varied and rich history, from the iconic walls of the 18th-century fortified town to fascinating ancient Phoenician artefacts in Sidi Mohammed Ben Abdallah Museum. The museum, a refurbished riad, also boasts an interesting collection of jewellery, clothing, weapons, musical instruments and intricately woven carpets of the region. If you want to go on a Game of Thrones holiday but Iceland is too cold for you, then it’s best to stay South of the wall and take a trip to Essaouira in Morocco! 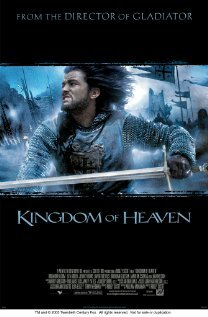 ...Kingdom of Heaven 2005 Ridley Scott .. 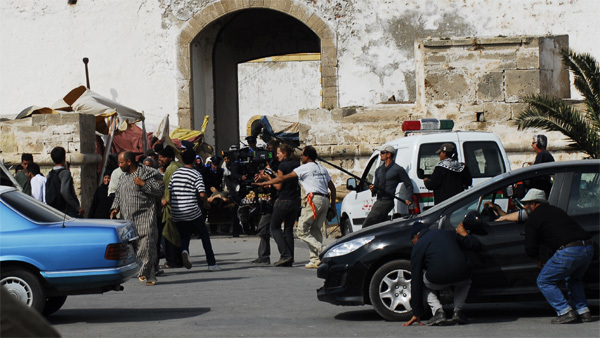 In 2011, Morocco hosted the filming of nine feature films, five films, five television series, 12 short films, 70 documentaries and commercials, TV reports and many others, indicates the balance the year 2011 prepared by the Moroccan Cinematographic Centre [CCM]. In total, 1471 filming permits for different types of films have been awarded by the CCM in the same year. Also, the laboratory processed the 38 feature films including 7 co-produced 46 short films and commercials as well as six kinescope of the 10 films and titling and subtitling of 18 films.In addition, the year was crowned by the release of 17 films nationally and CCM participated in the co-production of 10 films most of which were sub-Saharan Africa.